Interview - Leo Piironen wins the 2016 European Championship! The 2016 European Championships were played last week in Oulu, Finland. 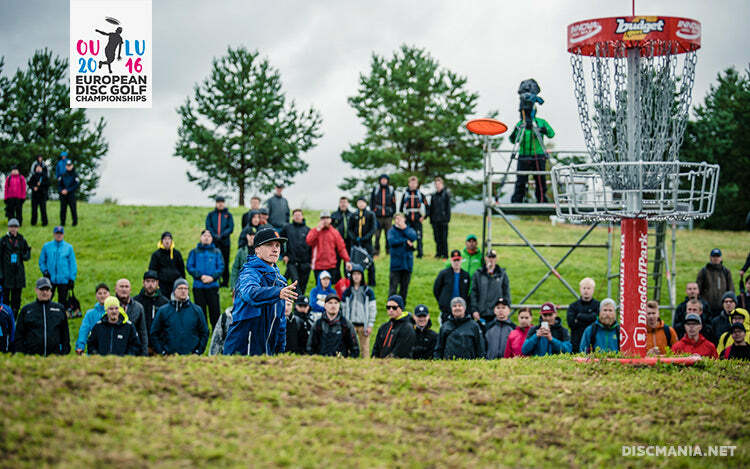 Meri-Toppila DiscGolfPark, located right by the Gulf of Bothnia was known to be a windy course even before this event, but very few players actually knew what to expect. Throughout the week, the weather went from calm and sunny on one day, to cold, stormy and rainy the next. 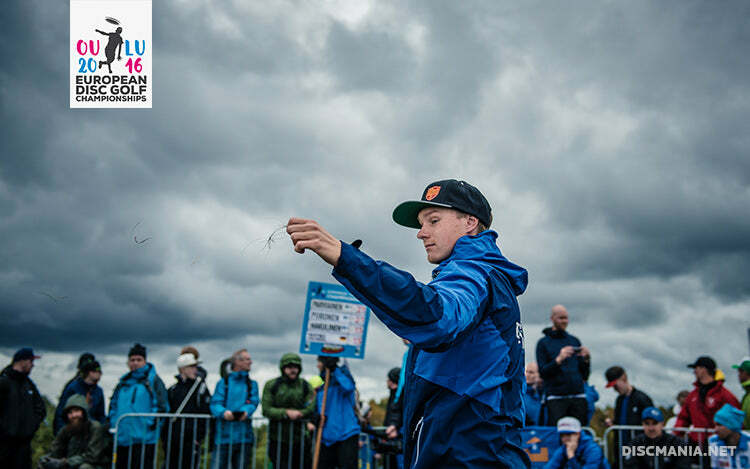 With the 2012 European Champion Simon Lizotte forced to sit this one out due to his knee injury, the top 2 favourites going into this event were Europe's highest rated player, Danish KJ Nybo, and maybe internationally a touch lesser known Oulu native Juho Parviainen, who has had more practice on this course than probably anyone else on the field. While KJ had a slow start to his tournament, Juho played to his strengths on all 3 rounds before the final, carding a pair of 53's (-8) and a 54 (-7). This would place Juho in the lead before the last 18 holes. 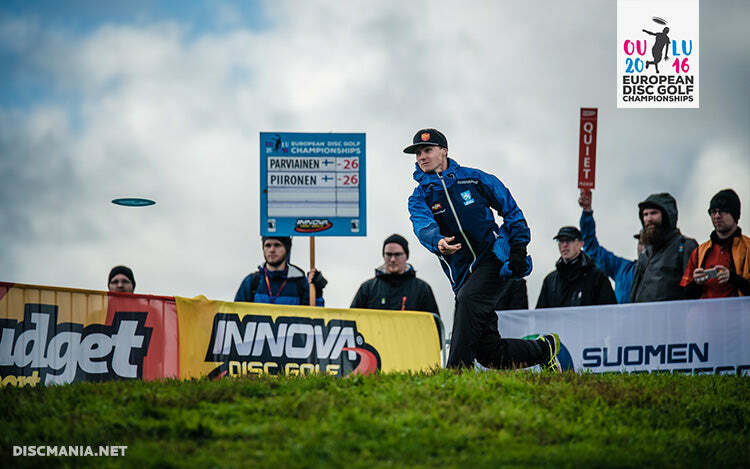 While Juho was making his push towards the title from early on, Team Discmania's Leo Piironen, who happened to also secure his 2nd Finnish Championship title 8 weeks earlier by a single shot over Mr. Parvianen, didn't have anything especially spectacular in store for the first 2 rounds. Leo's game was undoubtedly solid, but his 56 (-5) and 55 (-6) would leave him on the 8th place, 6 strokes behind Parviainen going into Friday's moving day round. Come Friday though, Leo was on fire, carding a 50 (-11) that would tie the course record Finnish Pasi Koivu had set on the first round. This would oust Leo into the lead card for the final round, just a single shot behind the leader Parviainen. With Sunday's storm winds, Leo would have a slow start, carding 3 bogeys and 5 pars on the first 8, letting the local Pro Juho slip to a 5-stroke lead after hole 10. At this point most of the spectators and online followers probably thought Juho would keep his lead and run to victory on his home turf, but Leo was more than ready to challenge that thinking. Despite the rough conditions, Leo would end up birdieing 6 of the last 8, essentially catching Juho by playing the last 4 holes 4 under against Juho's +1 for the stretch of final 4 holes. And all of this in front of a live TV audience. Leo chose to use the C-line PD2 on the first sudden death hole. With both Piironen and Parviainen tied at -26 after 4 rounds of tournament play, the duo would face a sudden death playoff for the championship starting on the tricky, OB-rich hole 17. Leo was the first to tee thanks to his better round score from the final round. Sometimes nicknamed the "iceman", Leo would take his trusty C-PD2 and play a secure sidearm shot under the wind to about 6 meters of the basket. Forced to give himself a birdie look after Leo's great drive, Juho would opt for the riskier hyzer line that would eventually find its lie just inside the circle, forcing Juho to be the first to putt. Leo has had his trusted orange D-line P2 since 2011. Juho took his time to make sure not to rush the putt, but could not not capitalize on the important moment. This left the door wide open for Leo, who took his trusty orange D-P2 and showed zero signs of hesitation or nervousness to slam it inside the basket for the biggest victory on his career to date. This type of come from behind victory reminds us of another great athlete from the other side of the pond, and we hope to see Leo racking similar success in his many more events to come. Huge congrats on your European Championship title on behalf of the whole Discmania crew! What was your game plan going into this event and when did it become clear to you that you will be able to take this one home? Leo: Thank you! After my first round I said to my friend that the best option now on would be moving up by one card at time. I played two solid rounds and made my way from the third card to the lead card. When we were teeing of hole 18 I noticed I had a chance to force the playoff and maybe win. Meri-Toppila DiscGolfPark has been described one of the windiest courses out there. Does playing in high winds give you an advantage or do you prefer calm conditions? Leo: One of my home courses is located in a pretty windy area so I'm used to play in windy conditions. Calm conditions suits my game style as well because it's easier to putt with no wind and putting is one of my strongest abilities. Maybe that's why I played my 3rd round so well. What kind of bag setup did you have for this event and which discs did you use the most? With the wind situation being what it was, I chose to go with a PD2 for drives on most of the holes. On holes 1, 3, 5, 7, 8, 9 and 18 I used a C-line version and on holes 4, 6, 11, 14, 17 I went with my even more overstable S-line PD2's. Outside those, I used a Glow C-MD3 on opening shots on holes 10 and 12. Hole 2 I teed off with a C-FD3, hole 13 with a C-FD and hole 15 with my trusty S-line PD. 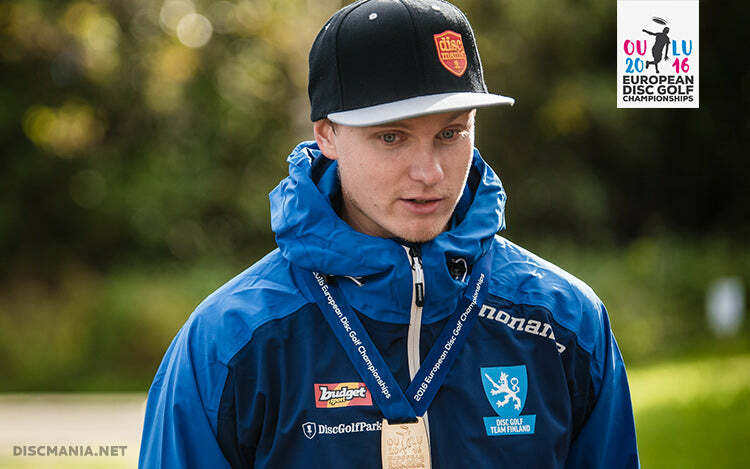 What's up next in the life of Leo Piironen? Leo: I'm going to play at our national Pro Tour final event in Kankaanpää, Finland. 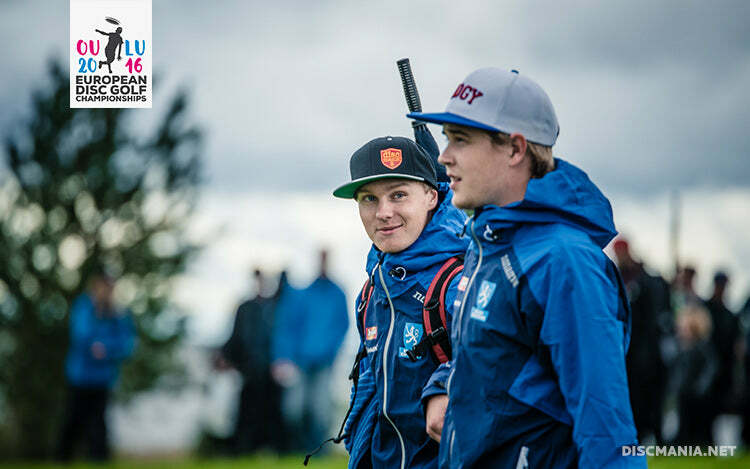 We have a good battle going on with Janne (Hirsimäki) Pasi (Koivu) Juho (Parviainen) Seppo (Paju) for the win. After that we all are heading for maybe the biggest competition of the year, USDGC. It's been 4 years since you last attended the USDGC. What kind of feelings does this the event awake in you and what will be your goal for this year's event? 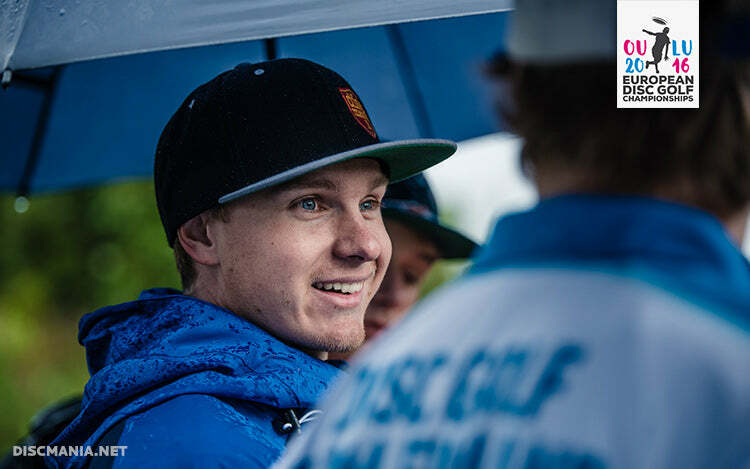 Leo: I'm honoured to be able to play at the USDGC again. I have been waiting this moment since I got to play there last time. Because USDGC is the final event for the World Tour my goal for this year will be to play solid and have a nice standing at the end of the tour. Thanks Leo and the best of luck for the rest of the season!